After months and months of speculation about the rating, today we’re one step closer to finding out what that will be. 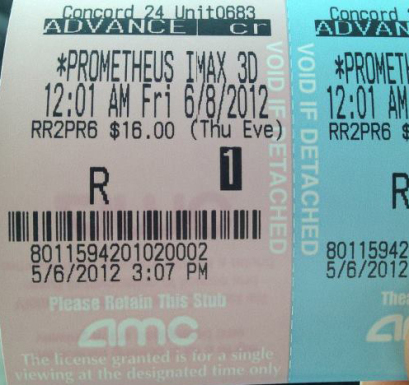 An IMDB user by the name of dvonnesoneek has posted a pre-sales ticket stub which features an R-Rating. While this isn’t absolute proof of the rating… the movie still hasn’t officially been rated by the MPAA yet but here’s hoping it will be.